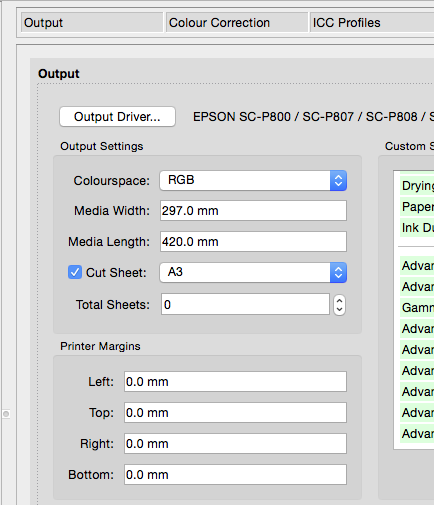 select the paper size to be used from the drop-down menu. Leave the Printer Margins set to 0mm. Select Automatic Sheet Feeder as the Paper Source. depending on the proportions of the images being submitted choose a either a Best Fit Width or Best Fit Height Fitting Method. 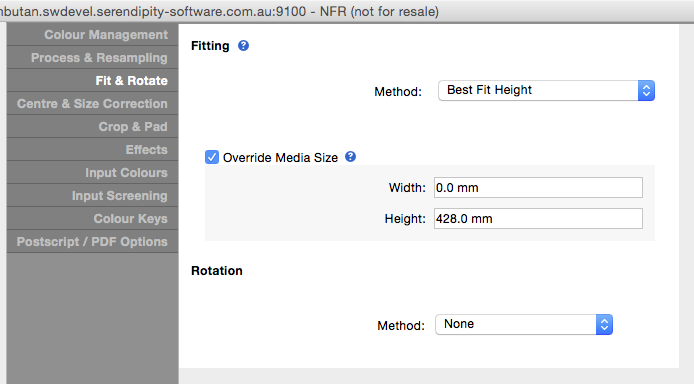 if using Best Fit Width, set the width to media width + 6mm, e.g. for A3 paper set 303mm (297+6mm). 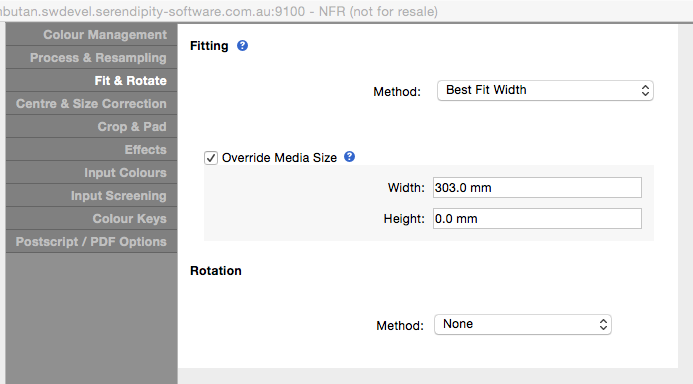 if using Best Fit Height, set the height to media width + 8mm, e.g. for A3 paper set 428mm (420+8mm). tick both the Vertically and Horizontally Centring checkboxes. set the Width to media width + 6mm, e.g. for A3 paper set 303mm (297+6mm). 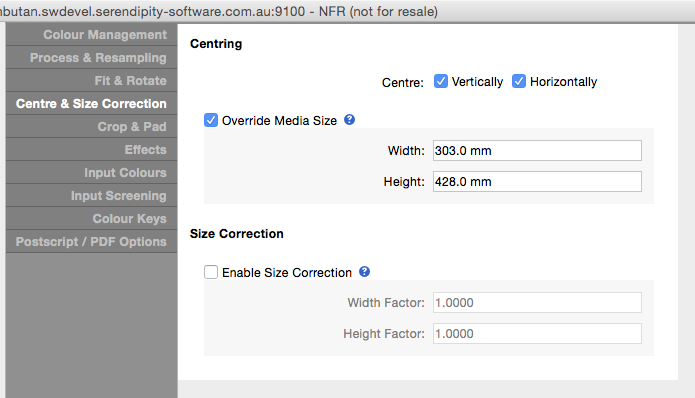 set the Height to media width + 8mm, e.g. for A3 paper set 428mm (420+8mm). Note – it is important that whatever fitting method is used, that the image fills the entire media for borderless print. Unless the image is the same proportions as the paper, some of the image will be lost around the edges. Even then, 3mm will be lost from the left, right and top, and 5mm from the bottom of the image (relative to the print direction). This entry was posted in Blackmagic, HowTo, Megarip, Printing and tagged Version 6.0+. Bookmark the permalink.